Major changes to the Harmonized System (HS) took place in 2012. Is your company ready? When shipping a product overseas as part of a commercial transaction, the exporter must be aware of packing, labeling, documentation, and insurance requirements. To ship a product overseas, exporters have at least four options. 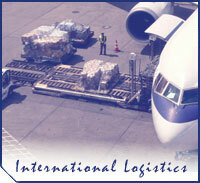 Many exporters rely on an international freight forwarder to perform these services. Some companies utilize the services of Shippers’ Associations. Other companies use express delivery or mail services. It is also possible for exporters to arrange their own shipping. You can find out more about shipping at the U.S. Customs and Border Protection web site. Exporters should evaluate each option to determine which one works best for their unique situation. 3. Reduces the absolute number of Incoterms from 13 to 11. Moreover, INCOTERMS® 2010 offers additional guidance which assists users in selecting the most appropriate Incoterm for each transaction. The revised terms also spell out rules regarding the use of electronic procedures; detail information on security-related clearances for shipments; and offer advice with respect to domestic trade. The Harmonized System (HS) assigns a 6-digit number to each product that is traded internationally. Each country can assign, on its own, four additional numbers, making the entire number 10 digits. The United States does this with its Schedule B system. Tariffs or duties are a tax levied by governments on the value of products imported from one country into another. Before you export to any country, you need to determine what the tariff rate is on your product(s) as well as any import fees for that country. Global Reach is the official blog of the Foreign Trade Division of the U.S. Census Bureau. The blog has several posts related to the Automated Export System and filing requirements.